We can take care of all of your H.S.I. 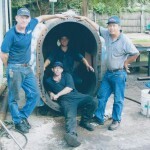 blower repair needs in Orlando, FL, regardless of which model you own. H.S.I. blowers come in ten various models that are specifically suited for a wide range of different applications. These blowers are associated with a variety of different beneficial features, which include completely integrated controls, low maintenance requirements, and significant energy-saving abilities. However, due to the many models of H.S.I. blowers available, it may be a challenge to find someone who can correctly fix your blower when you’re in need of H.S.I. blower repair. At Pat’s Pump & Blower in Orlando, Florida, we can take care of all of your H.S.I. blower repair needs, regardless of which model you own. Thanks to our two decades of experience in the industry, we won’t have a problem figuring out what’s wrong with your blower and then restoring it back to working condition. We realize that when your H.S.I. blower isn’t working, you may miss out on business opportunities or have a difficult time completing your operations like they should be done. When you turn to us for H.S.I. blower repair services, we will get your blower fixed as quickly as possible. Additionally, we can also travel to your location and fix your blower onsite. If you’ve put off getting H.S.I. blower repair done because you didn’t know where to turn, you don’t have to worry any longer. The next time your blower stops working or malfunctions, get in touch with us at Pat’s Pump & Blower for knowledgeable, professional, and customer-oriented blower repair services.